Get started on Volusion now. $200 in PPC credits with Google, Bing, and Yahoo! Hunting down the best web hosting for eCommerce differs from ordinary hosting shopping. Your sights are set on shopping carts, PayPal integration, and online store-specific themes. The best eCommerce hosting providers make those features readily accessible — at a cost your business can afford. To sum it up, our experts compiled the following table — highlighting the top eCommerce web hosting reviews. Looking for something other than ecommerce hosting? Browsing the best eCommerce hosts? Read our additional tips for eCommerce hosting as you shop! If you’re like me, by early December, you’ve already started filling several online shopping carts, you’ve easily lost a few Saturday mornings Googling “gifts for dad,” and you’re wishing more than ever that you were as artistically gifted as some of the Etsy store owners out there. As shoppers, we pay no mind to the technical foundation that allows us to experience our favorite stores virtually. We expect to be able to browse shoe selections without stepping foot in DSW. We’ve grown accustomed to scoping out new purses for mom, selecting her favorite color, and letting PayPal handle the rest. For some of us, online shopping is embedded in our everyday lives. For store owners, taking their business online can unlock new revenue opportunities and expand brand reach — but they need eCommerce hosting to do that. Here, we’ll cover the top eCommerce hosting providers and how they help you reach your customers — whether they’re on their couch or a continent away. Naturally, the best eCommerce services make building an online store simple and cost-effective. The top hosts for eCommerce recognize your business needs and are ready to help you market and profit from your products or services. Next, we’ll cover the top features we look for when evaluating this niche of hosting platforms. First thing’s first: You need to prominently display your products. An online store without stuff to buy is simply a website. We consider the best hosts in this market to be the ones who help you display, market, and maintain inventory of the products in your wheelhouse. You’ll want a hosting package that accommodates the number of items you plan on marketing, including any item-specific features your potential customers may want, for example, sizing options, color choices, and quantity count. The ease of which the product management interface lets you add and update products should be factored in as well. Whether you just want to throw a dozen hand-painted coffee mugs up on a page or you’re taking advantage of an unlimited product display package, you’ll want an easy means of accepting payment for your items. The top eCommerce hosts partner with leading payment processors, like PayPal or Stripe, to streamline this step in the transaction process for you and your customers. Strong advertising can be a driving force behind a brick-and-mortar’s incoming foot traffic, and an online store is no exception to the marketing rule of thumb. If you want site visitors, you need search engine results to be on your side. The best hosts for eCommerce sites are ones who give you a head start on marketing and SEO with free paid search credits. Many providers include free tools to help you optimize your eStore to appear higher in Google, Bing, or Yahoo! search results as well. Saving perhaps the most important detail for last: You want a quality, easy-to-use website builder with your eCommerce hosting package. Business owners, especially those with younger companies or less startup capital, don’t necessarily have experience in web design or coding, and they likely don’t have the time to learn. They want their online store to reflect the professionalism of their brand but don’t necessarily have the technical chops to make it happen themselves or the funds to invest in someone else doing it. Look for hosts with free website builders included in their eCommerce packages, and you’ll be golden. You don’t have to be a web hosting savant to have heard some of the foremost names in eCommerce hosting. Let’s see how some of the web’s most popular brand names in online store building stack up in our experts’ eyes. Shopify — the brand name screams eCommerce. The leading eCommerce platform hits the mark on all the features we discussed above: hundreds of themes for easy design, multiple transaction processing options, and customization that can be done via a drag-and-drop editor or the Shopify API. To be clear: This is a full-fledged, fully hosted eStore builder and management platform, and the pricing reflects the breadth of eCommerce functionalities it includes. This may be a financial bummer for folks who are preparing to launch their online business, but Shopify includes a 14-day trial, so you can start building for free. Next up, there’s Wix, a world leader in WYSIWYG website design. This builder is known for industry-specific templates, code-free customization, and an inexpensive experience overall for building basic websites. You’re not going to get as dynamic or complex a site as you might with a more robust platform but Wix is ideal for solopreneurs, freelance tradesmen, and SMBs who just need to get their foot in the door of the web. And, the results are in: After reviewing the best eCommerce services on the web, our experts have whittled the list down to the crème de la crème of commerce hosts. Hands down, the best hosts for the job complement low-cost service with eCommerce-ready functionality. The eCommerce hosts we love provide 1-click installations for popular online store building software like Magento or PrestaShop. They throw in free paid advertising credits, and they’re available 24/7 to help you grow your online business. 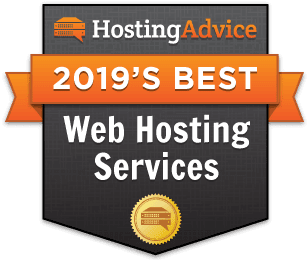 Small- to medium-sized business owners have many financial, logistical, and staffing considerations in mind when evaluating potential web hosts for their business. Keeping cost and maintenance requirements for their customers top of mind, iPage provides the best value for SMBs to build, customize, and grow an online presence. For enterprise-grade, business-class hardware, look no further than InMotion Hosting. With SSD-powered dedicated and virtual private servers, InMotion packs power and performance into their hosting plans at a price that will align with your growing business’s goals. What’s more, their team is heavily invested in network monitoring and building out security features. Keeping your site online is their business, so you can focus on yours. Once again, we’ve saved the website builder fun for last! We paid special attention to the site design and customization features of our favorite hosts’ eCommerce offerings. Several hosts deserve special recognition for making robust, intuitive site builders a standard in their plans. Leading the charge, iPage packages drag-and-drop Weebly site builder in all of their hosting plans, so customers can point and click to update and customize their online store sans coding. Meanwhile, world-renowned hosting provider 1&1’s MyWebsite enables users to quickly build an online store equipped for sales. Customers can market and optimize their sites for success with 1&1 SEO Spotlight and track their sites’ growth with 1&1 SiteAnalytics. Last, but most certainly not least, the InMotion team custom-built an incredible site builder that sits atop WordPress. InMotion’s BoldGrid site builder was so well received, BoldGrid became their own brand, and they’re now partnering with other hosting providers to evangelize their standards for intuitive site building with WordPress. By December 20, I still may have a few items lingering in my various online shopping carts as I continue to mull over custom wallets for my father and Star Wars paraphernalia for my brother. You, however, should feel much more prepared to pull the trigger on an eCommerce hosting plan after skimming through our reviews and witty banter above. I wish you luck in both your online store building and online shopping in every season to come!